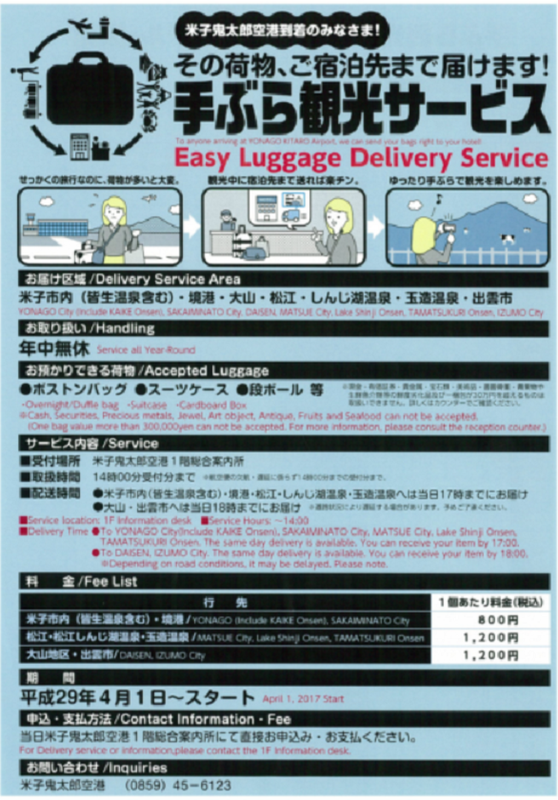 The Easy Luggage Delivery Service start! Sakaiminato area, Matsue area, Lake Shiji area, Tamatsukuri area, Izumo area. That way you can begin sightseeing right away, without carrying heavy bags! Copyright © 2015 鳥取縣觀光交流局觀光戰略課 All rights reserved.